Tech Tactics is a day dedicated to Porsche technical information. This event is for all Porsche enthusiasts, from the casual information gatherer to the every day Porsche mechanic. Get the latest information directly from the source. Topics range from how to balance carburetors to understanding how the new hybrid systems work. The event was born in 1980 in the heart of Zone One at the Harley Hotel north of Hartford, CT. It quickly outgrew this facility and moved to the Springfield Sheraton where it resided for over twenty years. By the 1990’s it was the premier technical weekend for PCA with some renowned speakers; such as Norbert Singer, Phil Hill, Derek Bell, and Brian Redman. Tech Tactics 2019 will once again be hosted at the PCNA Training facility in Easton, PA. This facility is perfect for this “hands on“ type of event. This facility is used to train Porsche technicians on the intricacies of new Porsches while at the same time providing valuable training on the Porsches of old. It is equipped with the state of the art classrooms with lifts and drive train assemblies which will be available for our event. Tech Tactics East is limited to 125 entrants each day of the event. The day consists of lectures by PCNA Field Specialists, PAG Project Managers, members of the PCA Technical Committee, and representatives from other companies such as Michelin, LN Engineering, Driven Motor Oil and Griots Garage. When you register, look at the topics covered under each colored-coded class. If you pick RED, you will attend those classes. Since we want to keep the size of the classes manageable, switching classes will not be allowed to ensure an ideal experience for each 'student'. If the colored-coded class you wish to attend is sold out, you may get on a wait list or choose another color. Also consider attending on Sunday instead. Back for a seventh year: Tech Tactics Die-cast Model Concours! This is a People's Choice event with the winner receiving a special prize! Dust off your favorite die-cast model (any scale), polish up the wheels and bring it to the event for display. Please, only one model per entrant. 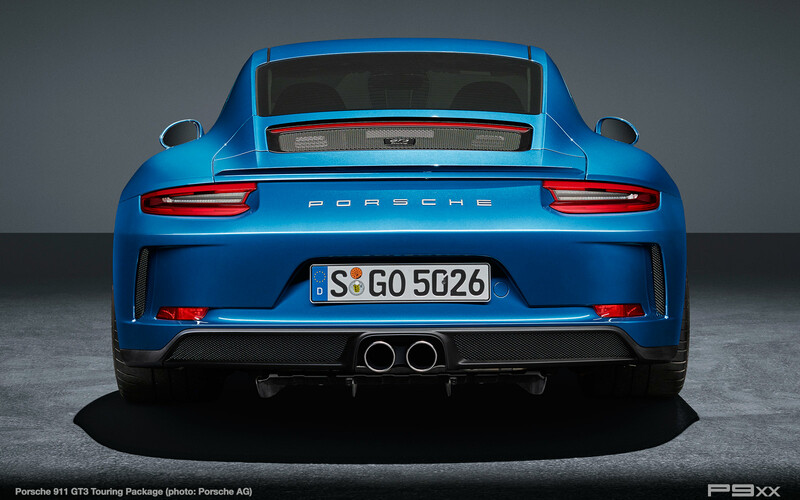 David started working with Porsche dealers on Long Island, NY in 1983 at Island Porsche Audi as a Technician. From 1983 to 2005, David has had various positions in the Porsche service industry at Silver Star Motors and Manhattan Motorcars. While at Manhattan Motorcars, he taught multiple automotive classes at a community college in the Bronx. Also at Manhattan, he won the 2000 Porsche Service Cup and represented the U.S.A. in the International Service Cup Competition in Germany. David joined PCNA in February 2005 and is currently training dealer technicians in “Diesel” and “Hybrid” technology besides Basic and Advanced Automotive Technology. In 2012 assisted Porsche Academy in certifying Porsche Dealer Technicians in the Worldwide Porsche Certified Technician Program. George has owned German cars since 1980 and bought his first 944 in 1986. He joined PCA in that year and started 944 Ecology, a parts recycler, in 1993. He has been on the PCA National Tech Committee since 1995. Pedro is the newest member of the PCA Tech Committee focusing on the Boxster/Cayman. He has undergraduate studies in Mechanical and Civil Engineering. Post-Graduate Master’s Degree in Business Management. Founder and CEO of TechnoLab Solutions, remanufacturing firm under contract with OEMs. Founder and CEO of Technolab and the founder and CEO of PedrosGarage.com. Steve received a Mechanical Engineering degree from Virginia Tech 1996. After graduation, he joined Michelin and spent four years as an industrial engineer at a tire plant. Then Steve became a test driver at the Michelin Proving grounds. Six years ago he hung up his driving shoes to become a Product Category Manager for Michelin high-performance tires. Tony owns and operates Callas Rennsport in Torrance California, a shop specializing in all aspects of Porsche & BMW Service and Restoration. Prior to opening his shop, Tony worked at multiple independent Porsche repair facilities in the Southern California area including Edelweiss Porschaus and Pete Zimmerman Service. Earlier in his career, Tony also worked at various dealerships and is factory trained in Porsche, Audi, VW, and BMW. Tony started at his father’s shop in Austin Texas, where Tony’s father introduced him to Porsches and professional racing at a very early age. Rolf started his automotive career as a technician in German independent repair shops before working on Porsche vehicles specifically. Rolf graduated from the Porsche Technology Apprenticeship Program (PTAP) at the Atlanta Service Training Center. He has worked for Hendrick Porsche in Charlotte, NC and Porsche of West Houston in Texas. After his time in the dealer network, he returned to become the PTAP Instructor in 2006. Rolf relocated to the North East Service Training Center in 2012 and is currently training dealer technicians. In 2015 Rolf completed the Porsche Global Trainer certification process as required by Porsche AG. Griot’s Garage manufactures an extensive line of waxes, polishes, and cleaners. All products are made with the highest quality ingredients and must exceed rigorous testing standards. Griot’s Garage recently launched a brand new product line that has been secretly in development, and Porsche Club members will be among the first to see a presentation and demonstration of this new line. Jason will also be able to field any technical questions about interior and exterior car care. If you are serious about car care and want to keep your Porsche looking it’s best, this is one clinic you won’t want to miss, plus all attendees will receive a free sample product for attending. Griot’s Garage is Driven to Perfection! Andrew started his career as an automotive technician while studying mechanical engineering before proceeding with technician training through the Porsche Technology Apprenticeship Program (PTAP). After graduating from the program in 2005, Andrew joined the Technical Support group of Porsche Cars North America. He has held various positions within PCNA over the past 12 years involving Technical Support, Regulatory Affairs, and E-Performance. In January 2015, Andrew completed Gold level certification in the Certified Porsche Technician program before accepting the role of Product Manager for Sports Cars at PCNA. Nathan is a lifelong car fanatic and has been especially passionate about Porsche since acquiring his first 911 at age 16. Over the past 25 years, he has owned nearly every iteration of Porsche imaginable and has a particular passion for the rear engine, air-cooled models. 10 years ago he combined his various interests and skills and founded Columbia Valley Luxury Cars with the vision of sharing his passion and expertise with other like-minded enthusiasts. He is a teacher at heart and views his job as helping his customers fully understand not just the car they might be buying but the Porsche culture, history and market. On a personal level, he is an avid collector of all original cars, parts, and literature and enjoys Concours both locally and nationally. He is a presenter on the Topic of Buying/Selling, Valuation, Pre-Purchase Inspections and the Market to various regions within PCA. Vonnen Is New-Tech Performance - By replacing the existing engine’s flywheel with a powerful electric motor, torque and power are added directly at the crankshaft. You get the sum of both power sources delivered in parallel; gasoline and electric. The combined power is delivered through the existing transmission, the existing drive wheels, and available in every forward gear. The Performance Is Exhilarating! Charles is the founder of LN Engineering. He is a graduate of Northwestern University and is an active member in the PCA. LN Engineering is the Chicago Region PCA Autocross and one of the TRAC PCA Club racing event sponsors. LN Engineering is a leader in the Porsche aftermarket, known for their line of Nickies cylinders, and more recently, for co-developing the IMS Retrofit and IMS Solution. Charles is involved in numerous endeavors including RND Engines and Bilt Racing Service, just to name a few, all with an emphasis on supporting the Porsche community. Jim is the founder and now co-owner of Automobile Associates, which has been specializing in repair and maintenance of German cars for over thirty years. In addition to preventative maintenance, Automobile Associates has built and restored many national award-winning Porsches including several Manhattan winners. He has also built much class winning Porsches that compete in the PCA Club Race Program. Jim is a long-standing presenter at Tech Tactics. John has been a PCA member since 1972 and joined the 356 Registry in 1975 as member number 71. John has been on the National Tech Committee since 1985 in charge of Interiors/Exteriors. John has chaired the Zone One Concours for twenty-seven years and been a speaker at Tech Tactics for thirty-three years. He is the previous owner of the award-winning 1953 America Roadster, which is presently displayed at the Porsche Factory museum on loan from the Wolfgang Porsche collection. John and his brother Ray are owners of Paterek Brothers, which is a premier Porsche restoration facility in Chatham, NJ. John presently displays his award-winning 1962 356 S90 cabriolet. The son of former Karting World Champion and NASCAR driver Lake Speed, Lake Speed Jr. also has a history in both Karting and NASCAR. Lake Jr. began racing karts at 6 years old and has worked for NASCAR championship winning teams Melling Racing (Bill Elliott) and Joe Gibbs Racing (Tony Stewart). While working for Joe Gibbs Racing, Lake Jr. played a key role in the development and selection of lubricants for JGR as part of the team that started Joe Gibbs Driven racing oils. Over a 10 year period, Speed and the JGR engineering staff worked hand-in-hand with Lubrizol (the world's leading additive company) to develop cutting edge lubricants for JGR. Today, Lake Jr. is a member of the Society of Tribologists and Lubrication Engineers and is one of less than 300 people who hold both Certified Lubrication Specialist and Oil Monitoring Analyst certifications. Relying on more than two decades of hands-on experience, Speed is a frequent speaker at industry and university technical events and seminars.